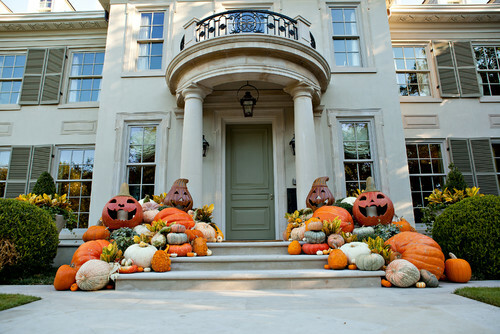 Fall (in love with these) Decorations! 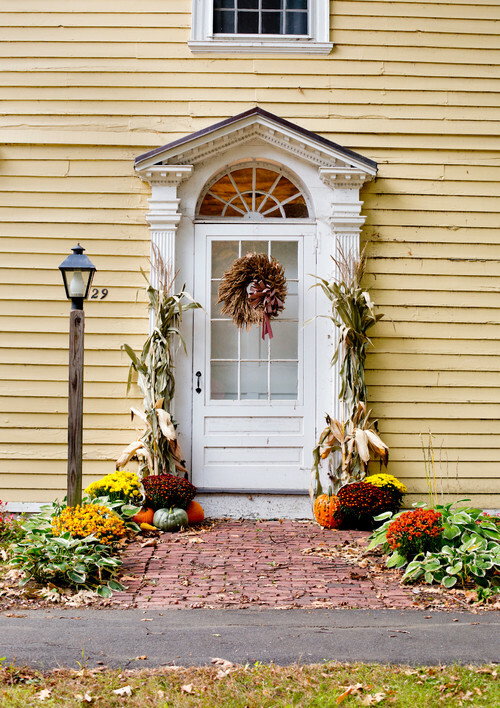 What I think is the best part of fall decorations is the fact that you can find inspiration and help just by stepping outside. 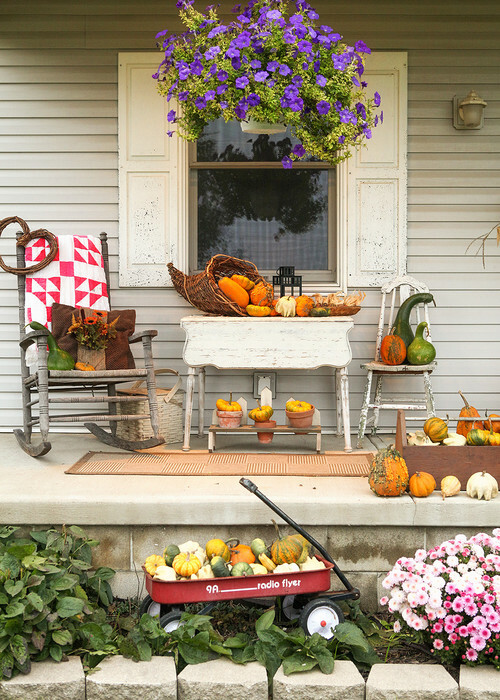 From gorgeous colorful tree leaves; to corn husks; dried fruits, veggies, or plants; and let’s not forget those beautiful and gorgeous orange pumpkins. 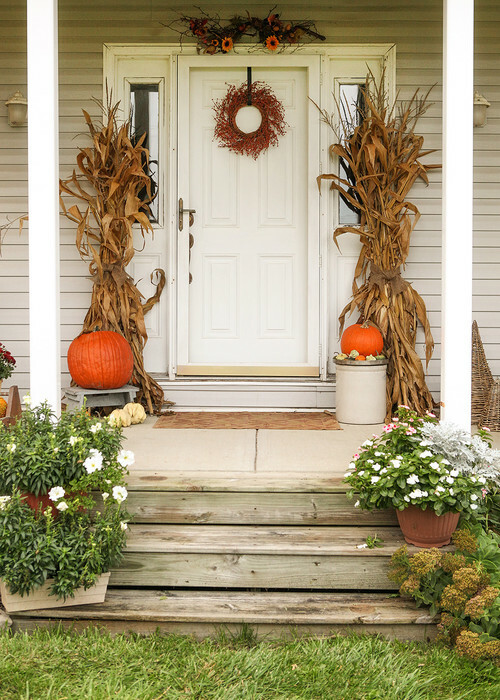 You can even place a simple pumpkin on your porch and that would be enough. 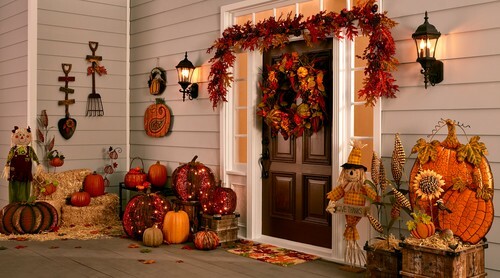 But, of course we don’t want just a simple pumpkin. So this is why we have some gorgeous inspiration for today. 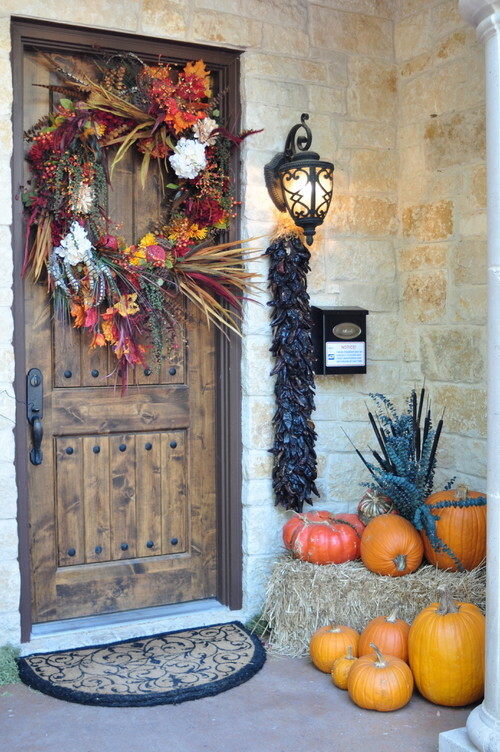 From pumpkin displays to autumn wreaths – which you can also see a few of in our previous article 8 DIY Fall Wreaths to impress your guests with – autumn flowers and even hay bales to complete the picture. 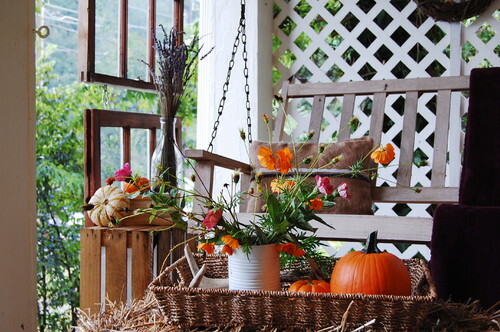 Anything that autumn has got to offer can be and should be used as a way to celebrate it. Next projectButternut Squash Recipes you can’t skip this Fall!